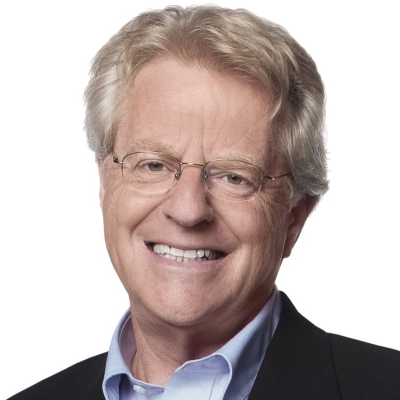 Jerry Springer: The Opera returns to New York City, but it's "stuck in a damning time warp"
The British musical based on The Jerry Springer Show premiered way back in 2003, and its tap-dancing Ku Klux Klan and reveling in "chicks with a d*ck" seems to be out of place in 2018. "Regardless of the language, or the musical’s ranging moral compass, Jerry Springer: The Opera’s biggest problem is now time, and being outpaced by it," says Tim Teeman. "To run the show now, without mention of Donald Trump, without any recognition of the political and cultural landscape of now, almost invalidates it. We are told it is set 'sometime in the fairly recent past.' You wouldn’t know it."